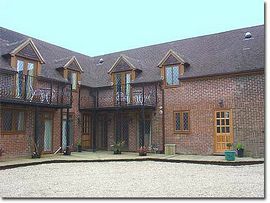 The cottages in Solent Reach Mews are fitted out to the highest standard - they truly are luxury accommodation to make your stay here one of the most memorable holidays you have had. It is an excellent base for exploring the New Forest and the seashore of the Solent. All the cottages include a fully equipped kitchen with all �mod cons� including washing machine, dishwasher and central heating throughout, comfortable settees and armchairs and a modern television for your entertainment. There is a choice of sleeping 6 with 2 bathrooms, or sleeping 8 to 10 with 3 bathrooms - all fitted to an extremely high standard. Solent Reach Mews provides an excellent base for discovering the wonders of the local area, as it is adjacent to a beautiful nature reserve, popular with bird watchers, wildlife enthusiasts and ramblers. A walk along the salt marshes offers sightings of an abundance of seabirds, swans, wildfowl and weaving flights of Brent geese during autumn.